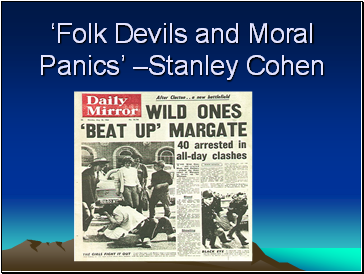 Cohen’s research was a departure from traditional subcultural theory – his emphasis was on the reaction to the disturbances which took place in Clacton, Easter 1964. Cohen’s work deployed a synthesis of structural and labelling theories. 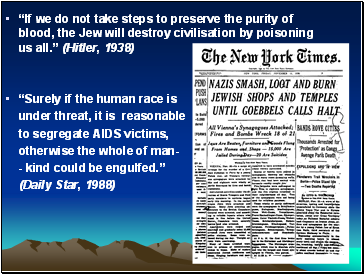 The amount of serious violence had been minimal. 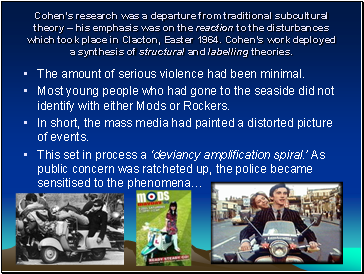 Most young people who had gone to the seaside did not identify with either Mods or Rockers. 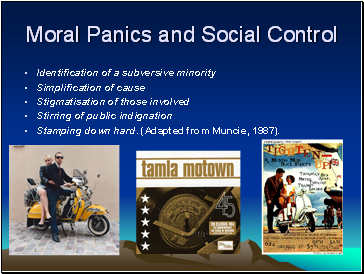 In short, the mass media had painted a distorted picture of events. 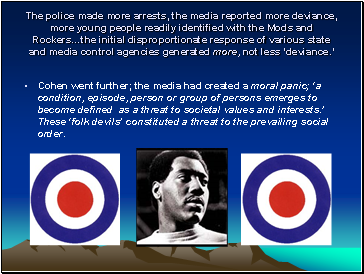 Cohen went further; the media had created a moral panic; ‘a condition, episode, person or group of persons emerges to become defined as a threat to societal values and interests.’ These ‘folk devils’ constituted a threat to the prevailing social order. 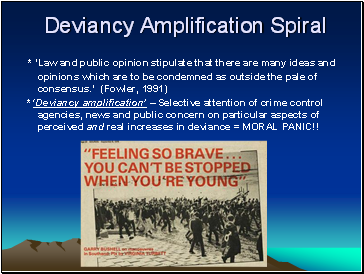 * ‘Deviancy amplification’ – Selective attention of crime control agencies, news and public concern on particular aspects of perceived and real increases in deviance = MORAL PANIC!! Stamping down hard. 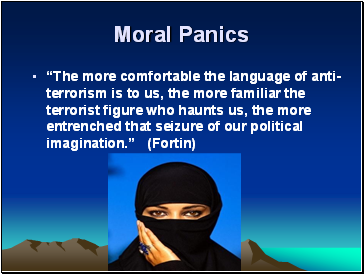 (Adapted from Muncie, 1987).